What will the New Year bring for you? Do you have any specific goals you want to achieve this year? It might be you want to focus on your health - to give up smoking, eat more healthily or do more exercise... It might be that you want to progress your career by being more confident at work or doing something which perhaps you felt you didn't have the motivation to do in the past. Perhaps you even want to start a new business but you feel you need some direction and focus to step outside your comfort zone and take on a new challenge? Whatever it is that you want to do and achieve in the coming 12 months, it might be that some hypnotherapy / coaching sessions could help set you off in the right direction to make sure you achieve your goals. We all have our fears and doubts about the unknown or about trying new things - hypnotherapy could help you overcome these fears to free the way for you to power forward into the new year! Hypnotherapy is a totally natural and very effective form of therapy which can help anyone who wants to make a positive change in their lives. If you have any questions about how it could help you, please email Christy at christy@christyhypnotherapy.com or call me on 01252 334377 for a free telephone consultation. I look forward to helping you achieve your dreams! Refer someone for Hypnotherapy with Christy and receive a £10 voucher! This is not a 'usual' blog post however I wanted to let as many people as possible know about a new referral scheme which I'm delighted to offer to anyone, not JUST to my previous clients. Do you know anyone who would like to stop smoking before Christmas? Or perhaps someone who has a fear of heights, spiders or another fear that they would like to overcome? Or do you know anyone who plays golf and would like to better train their mental skills over the winter months when they can't play on the course?! If so then I would like to invite you to pass their details onto me (with their permission of course!). If they go on to book in for a hypnotherapy session, as a thank you for the referral I will provide a £10 Amazon Voucher for each new client referral I receive! If you would like to know more, please email me on christy@christyhypnotherapy.com and I will send a referral form for you to complete. Thanks in advance and I look forward to hearing from you! Say no to get control of your life! Do you find it hard to say no to others? Always being agreeable might be nice on the surface, but it can have serious consequences. Here are four tips to make it easier to say no. The word no is the most powerful word you can use and not being able to say no can bring disaster. Bosses who can't say no will create confusion. If you tell everyone they can take next Friday off, you'll have an empty office. The employee who can't say no loses out. You will take on more tasks than you can handle. Even worse, your boss may spot you as an individual who lacks self-respect and initiative and will pass you over at promotion time. In the family, if you say yes to a beach holiday when you would actually prefer the mountains, your disappointment can grow into resentment, spoiling the family outing. Saying yes all the time can also threaten friendships. If you end up doing things purely out of obligation, you might end up resenting the very people you need around you for support. Assure the person that you respect his or her request, and that your decline isn't personal. "Sounds like a very good project, yet my busy schedule won't allow me to participate." Explain why your refusal benefits both of you. For example, declining membership on a committee, you might say: "I'm going to be traveling extensively over the coming months. If I accepted, I couldn't attend meetings or arrange events. You'll benefit more by getting someone who will be available." Invite the other person to help you make the decision. Let's say your boss gives you a big assignment. You might respond with: "Here's a list of what I am working on already. If I take this new assignment, I'll have to drop something. Please tell me which projects deserve top priority." If you can't do everything someone wants, offer them something in return: For example, "No, I can't be responsible for four programs next month, but I can take control of one if that will help. Whatever strategy you choose, it is vital that you protect your life balance, your integrity, and your relationships by declining when you need to. You will be amazed at how much a two-letter word can improve your life! If you are interested in how hypnotherapy could help you gain that all important confidence to take back control of your life, please contact Christy at christy@christyhypnotherapy.com or call 01252 334377. I wanted to write a quick post about this question as it is something which I am asked all the time by new and potential clients. The short answer is yes, the studies have shown that it most definitely does work... but you must WANT it to work. For example to stop smoking you must first 'want to' stop, for it to be successful. When a client calls me regarding stopping smoking, I always first ask, 'on a scale of 1-10 how much do you want to stop smoking?' If the answer is not '8' or above, it is usually an indication that they are not ready to stop. Most people can be successful using hypnosis as long as they follow my guidance, accept my suggestions and practice the techniques I will teach them... in other words, fully commit to the process. It's like anything else; you get out of it what you put into it. Even though with my hypnosis sessions I help, empower, persuade and in many cases give my clients a different perspective (e.g. how to talk to themselves in a more beneficial way, to manage their thoughts, etc. ), I cannot of course take away free will, nor would I wish to. You are the one in control of your own mind - all I can do is suggest a better way of thinking, feeling or behaving for your own benefit. My clients who get the most benefit from hypnotherapy are the ones who arrive with the knowledge that they have to want to make a change and that this change is not something to be entered into half-heartedly. And they leave feeling extremely successful because they know they worked really hard and practiced the techniques I taught them. And this is my ultimate aim - to help my clients go away feeling they have the skills they now need to continue forward with a positive direction in their lives. Hypnosis can help with stopping smoking, weight control, stress management, overcoming fears, boosting confidence and much more. For a personal consultation, please feel free to email me on christy@christyhypnotherapy.com or call 01252 334377. Why is it that some people have more self-belief than others? Why do some people ‘get on with it’, while others procrastinate or not even step up to try? Is self-belief innate within us, or is it a skill that can be learned? As a hypnotherapist and sports performance coach, a lot of my work focuses on confidence building. My extensive work with athletes and business people over the years has shown me that everyone suffers from self-doubt from time to time. The differences between people lie in our ability to voice our fears and take action to overcome these negative beliefs. Successful people tend to share a positive mindset. They also set personal goals and are quick to take action. Whether it be CEOs, small business owners or entrepreneurs; successful people tend to have several core traits in common: they are decisive, action orientated and they set clear, measurable goals. And most importantly, even if they don’t always know how they are going to achieve their goal, their expectation is they will find a way. They BELIEVE they can. So where do our beliefs come from? They develop from a complex mix of our attitudes, values, memories, decisions, internal self-talk and, most importantly, the impact of our personal environment. We really are what we think. Without self-belief we are more likely to procrastinate, make poor choices, lack accountability, or even fall into a state of victim mentality. What is the solution? If you find your own self-talk is becoming negative, how can you change it? The answer is to challenge our fears and take positive action; to overcome any limiting beliefs that are holding us back. Easy to say, but sometimes harder to achieve. The great news is turning negative thoughts or attitudes into positive ones can be quick and easy. It all depends on the motivation of the individual and their willingness to give the concept a try. Much has been written about ‘acting as if’ you have already succeeded, or creating affirmations to help change your state of mind. The most important thing with affirmations is that they must be realistic and believable – your brain would naturally resist things it doesn’t feel is authentic. However, these two actions are an extremely powerful starting point for change. It’s really important to understand that often, when a limiting thought enters our head, nothing has actually changed except our point of focus. We have taken our eye off what we are looking to achieve and instead, have allowed doubt or negative self-talk to creep in. That affects not only our thoughts, but our body language, posture, what we feel, how we view the situation in that moment, the things we say to ourselves – and therefore the outcome as well. 1. Stop. Take a breath and adjust your posture. Notice how your stance has changed since a limiting belief appeared. Ask yourself, “How do I want to feel instead of worried / anxious / fearful?” Name your feeling and then stand up, walk around and sit back down in a way that reflects that mindset. 2. Change your point of focus – literally. We usually look down when we are unhappy and up when we are more confident. Look up at the sky and see how you it can change how you feel! 3. Identify your limiting belief. For example you might say to yourself, “My business is going to fail”. Then ask yourself, “What’s the worst that could happen?” “How can I prevent this happening?” “If it still happens how could I handle it?” In looking at your core fear or problem in the face and preparing for it, you will change the way your brain perceives the problem and it will literally alter your mindset and help you prepare for positive action. 4. Speak to someone you respect, whether a friend or work colleague perhaps. By vocalising what is going on, it becomes easier to reframe the outcome. 5. Take action. Action is empowering because it brings about change. The clearer you can be about what you want, the easier it will become to break down your goal into manageable chunks and start working towards it, one step at a time. The truth is that over 90% of what we fear never actually happens. By acknowledging the 10% of possibility and preparing for it in case it does happen, it becomes easier to take practical actions towards the successful outcome you actually want. So by changing your self-belief, you can literally change your mind. If you would like to find out more about how to change your beliefs, please feel to contact Christy for a one-to-one appointment at christy@christyhypnotherapy.com or call 01252 334377. 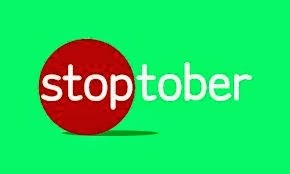 Today is the first day of STOPTOBER! Stoptober is an NHS campaign to encourage people to stop smoking throughout the month of October. In 2012, the NHS said there were more than 160,000 people who managed to stop smoking for the month of October with the campaign. This year, according to the website stoptober.smokefree.nhs.uk, there are over 200,000 people taking part - will you be one of the smokers who's made the decision that now is the right time to take control of this habit and stop smoking for good?! In the UK, around 114,000 people die every year from smoking-related illnesses and it remains one of the biggest causes of death and illness... do you want to end up as part of these statistics? Or would you prefer to make up a much more positive statistic of how many people manage to quit?! Research suggests that those who successfully stop for four weeks are then five times more likely to stay smoke-free. There is no question that stopping smoking is an insurmountable challenge to many who try, but we do know that kicking that nasty habit can make a big difference to your health. With support and dedication, you can stand out from the pack. Stoptober participants will be supported every step of the way being provided with a support pack, mobile app, and motivating texts throughout the month. And if you would like some additional help for that extra boost of motivation, hypnotherapy could be just what you are looking for. Hypnotherapy has helped many many people stop smoking in just one session and it could also help you. Could how much you smoke be linked to the chance of developing Arthritis? It would appear so. For women who smoke, it would appear that the number of cigarettes they smoke each day directly correlates to their risk of developing rheumatoid arthritis... not good news for millions of women who are still smokers! This may seem like a bit of a sweeping statement, however research undertaken at the Karolinska Institute in Sweden looked at the arthritis risk faced by female smokers aged 54 and 89 and results found that women who smoke anything from one to seven cigarettes on a daily basis have a 1.31-fold higher chance of becoming arthritic than those who have never smoked. What's more, the longer a period of time a woman smokes, the higher her risk of developing rheumatoid arthritis. Whilst those ladies who have smoked for a year have a smaller risk, those with a history of smoking spanning over 25 years have a 1.6 times greater chance of developing the condition. We all know that smoking is not a 'healthy' habit, but this research clearly identifies just how much of a hidden impact smoking can have on the body as a whole over a long period of time. Of course this does not just affect females, however it seems women are far more likely to be impacted with arthritis than men. These worrying findings may well convince women around the world to think about whether their habit is worth it, particularly when they are so many people out there that could support them through smoking cessation. Hypnotherapy has been used as a way for smokers to kick the habit for many years. Many smokers struggle with the various "stop smoking aids" such as nicotine patches and gum, mainly as they act as a substitute for the real thing, meaning the person remains addicted to the substitute. This often results in the person going back to cigarettes within a short space of time! What makes hypnotherapy a much more effective (and long term) solution is that it can help the person identify the root cause of their addiction and help smokers break the habit rather than just the nicotine addiction, thus making the process a little easier. Not just for women! This following post has been taken from an article published in PRWeb (www.prweb.com) in which the National Council for Hypnotherapy responds and supports that hypnotherapy can be useful in assessing anxiety and the root cause of it when related to weight. Earlier this month, researchers from the University of California have published some new research which has found that a lack of sleep can cause substantial changes in brain activity which can then cause cravings for high-calorie food. The researchers used brain imaging techniques to study the responses of sleep-deprived people while they showed them images of both low and high calorie foods. The results of this research showed that tired people had higher brain activity in areas associated with the motivation to eat. However there was less activity in the areas that encourage us to choose health food, which is why people often have an increased desire for high calorie treats when they’re tired. The journal 'Nature Communications' published this new research which also backs up other studies conducted which have shown that poor sleep actually increases the levels of hormones linked to weight gain. People crave sugary and fatty foods as they struggle with a lack of concentration and tiredness. So what does this mean for people who are trying to lose weight? Both findings suggest that simply getting a solid eight hours sleep a night COULD help people stay in shape. And if you are finding it tough to stick to a healthy eating plan or have problems with portion control, you could combine a good nights sleep with some hypnotherapy to give your motivation a boost in the right direction. With the 'Royal birth' imminent towards the end of this month, the papers have recently been filled with stories about how Kate Middleton has been practicing hypnobirthing techniques to help her prepare for the birth of her child. Despite the recent spark in interest, Hypnobirthing is actually nothing new and has been used by many celebrity Mum's in the past including Jessica Alba, Pamela Anderson and Cindy Crawford. Hypnobirthing should by no means be considered the latest celebrity trend however... women from all walks of life have been benefiting from using self-hypnosis to aid child-birth for many years. The NHS is now even funding research into how hypnobirthing could be used to help reduce the number of birthing complications and reduce the need for drugs. The idea behind hypnobirthing is that women use specific breathing exercises and visualisation techniques at different stages of labour to relax the body, helping to combat pain and lessening the need for an epidural. There are many options for Mum's to be and generally training involves either a home-study programme working from support materials or alternatively couples can attend classes or workshops together so that the Father can also be involved in the process. Anyone interested in considering using hypnobirthing should of course contact a professionally trained hypnotherapist for more personalised advice and support when considering birthing options. Hypnosis has, for some time, had a less than favourable reputation which has mainly been borne out of the world of stage hypnotists getting people to do silly things on stage. In recent years however, hypnotherapy has become much more an accepted and respected form of intervention and even treatment in many different areas, including childbirth, smoking cessation and trauma recovery. In France, the idea that Hypnotherapy can complement traditional first aid assistance is now being put to the test in the world of firefighting. At the Haguenau fire station in the Alsace region of France, 120 firemen have been trained in basic medical hypnosis which they can use to soothe someone trapped under rubble or in a car following an accident, or even a person suffering an asthma attack. The basic idea is that while firefighters arriving on the scene of an accident get to work tending to the injured or cutting a victim free, those staff who have been trained in hypnosis establish a more personal link with the person and divert his attention away from the trauma of the scene. The Haguenau fire station manager David Ernenwein says he is convinced that the method is useful. He says, "We have all noticed that when we hold someone's hand, things go better, even if we did not label it as 'hypnosis'. The first thing that we can do to help people is to calm them down, and this technique has given us the tools to be able to do that, to help people suffer less". Whilst the firefighters have only received basic training in hypnosis so far, they have begun to be able to use simple hypnotic techniques so that instead of focusing on the person's pain, the emphasis is on his wellbeing. Typically the firefighters speak in a calm and measured voice and are careful to avoid any negative words. Initial evaluations seem to be showing significant benefits and officials at the firefighters ministry are apparently "cautiously optimistic" about the Alsace experiment. Their results will be carefully monitored over the next 6 months - I personally look forward to reading the feedback! For more information about hypnotherapy for trauma recovery, please email: christy@christyhypnotherapy.com. Do you have a phobia? So does half of the UK! The International Business Times has recently reported that around 50% of adults in the UK suffer from a phobia (read the full article by following this link: http://www.ibtimes.co.uk/articles/462131/20130428/phobia-week-morning-itv-nik-eva-speakman.htm) A survey was conducted by ITV and found that around a third are afraid of heights, one in seven afraid of flying and one in ten have a phobia of spiders. Out of the respondants of this survey, a scary seven percent said their phobia had actually cost them their job, with one in ten saying their relationships had been affected. So if you are going through life thinking you are the only one with a phobia of something, don't worry - you are not alone! Being able to get treatment for a phobia could therefore have a hugely positive impact on people's lives, potentially reducing these negatives impacts on both work and personal lives. If you have a phobia, it may well be worth seeking out a good hypnotherapist in your area to help you overcome your fear. Suffer no longer! If you have any questions about hypnotherapy for phobias, please email Christy for a no-obligation consultation or advice: christy@christyhypnotherapy.com. It is a fairly well known fact that having good posture is very important to maintain a healthy body and that a bad posture can lead to physical problems later in life. But were you aware that a bad posture could also be having a negative effect of your mood and state of mental health? Studies have even been conducted to find out how posture can actually impact your mood and results consistently show that how you hold your body can dramatically influence your 'happiness' levels. One example is of work conducted by Tal Shafir, Ph.D who is a specialist in dance movement therapy and neuroscience at the University of Haifa in Israel. He recently conducted some research into how movements can affect mood. He claims that, "When we make a gesture and the movements are related to a specific emotion, it can elicit or create that emotion in us". Shafir suggests dancing as good way to do this, or if you don't have music try jumping, skipping and other rhythmic movements. Other studies have shown that postures such as slouching and walking with hunched shoulders send 'sad' signals to our brain. Whereas certain lighter happy movements can send 'happy' signals to our brain, brightening our mood. So the next time you are standing talking to someone or perhaps out walking the dog, take a moment to notice your own posture. Are you slouching, leaning forward or staring at the ground? If so, try standing tall, hold your head up and look up to the sky and see how it makes you feel! These techniques, combined with hypnotherapy, could be used to help improve your overall well being. If you are interested to find out more, please email Christy: christy@christyhypnotherapy.com. The inspiration behind this blog title actually came from an advert I recently saw on TV ... in the ad, a selection of women on the street were asked to name the part of their body they liked the most. Without exception, everyone of them really struggled to come up with something. Next they were asked to name a part of their friends body they liked the most and this time they were all instantly able to come up with something, ranging from eyes, skin, nose (and even bottom!). I would now like you to ask yourself... could you name the part of your body you loved the most? If you were to ask a friend the same question, what would they say about you? So what was this advert for? Well it was actually for Dove soap. For years, Dove have linked their products to increased self-esteem... no one is saying that soap is going to make you feel better about yourself but I think this particular advert raises an important question... why is most women find it so difficult to appreciate our own bodies and feel confident about what we have? After some more research, I came across an article in the online advertising magazine "Adweek", which reported that Dove hired a criminal sketch artist to draw 2 sketches of a selection of women - the first sketch was based on the woman's description of herself and the second was based on a description provided by a stranger the woman has just met. As you can guess, the differences between the two images were vast! You can read the full article and watch a video of this by following this link: http://www.adweek.com/adfreak/dove-hires-criminal-sketch-artist-draw-women-they-see-themselves-and-others-see-them-148613. I found it extremely touching to see the women's reactions when they were presented with the two sketches of themselves and it was clear some of the women were truly shocked that a stranger could see so many positive and attractive features which they had totally ignored or even worse, turned into negative features. It would seem that we are all able to appreciate positive parts of someone else, however we find it much harder to appreciate our own bodies. Is this just most women not wanting to appear overconfident? Or that is it somehow 'fashionable' to put yourself down? Perhaps these things might be true, however low self esteem about one's appearance can affect anyone and can sometimes lead to terrible consequences, including depression and eating disorders. So can hypnotherapy help you realise that you are more beatiful than you think? The answer is 'yes' and in a number of ways. If weight is an issue, there is nothing wrong with having goals and hypnotherapy can help you strive towards becoming a better version of yourself. At the same time, hypnotherapy can help you to overcome any limiting beliefs about yourself so you can appreciate what you actually already have. If you have any questions, please contact Christy today on christy@christyhypnotherapy.com. The Independent News paper recently published an article all about the experiences of actress Rosario Dawson as she prepared for her role as a hypnotherapist in Danny Boyle's latest film, "Trance". Personally I think Rosario was very sensible to go to see a hypnotherapist herself before she began the filming so she was able to develop her role in the film based on her own experiences. Despite the fact that hypnosis is becoming a far more familiar and accepted form of therapy, there are still many misconceptions about exactly what hypnosis does (and indeed does not) do. It was fascinating to read in the article that Danny Boyle said he had not tried hypnotherapy himself as he thinks (and I quote), "Directors are control freaks and I don't think they ever relax enough to be a useful subject for a hypnotist". I've actually had many new clients come to see me saying the same thing... many people who class themselves as 'control freaks' think they may not be good at being hypnotised as they do not like to be out of control and cannot relax. I then happily explain to them that in fact the contrary is true... people who like to be in control are actually very good at hypnosis as they are usually very self-aware people and therefore have a fantastic ability to tap into the power of their own mind. Good 'hypnotisability' generally involves having a good imagination, being able to focus on something very specifically and also being aware of your own thoughts and emotions. If Danny Boyle knew that, perhaps he would have given it a go! So if you are a 'control freak' yourself and would like to find out how hypnotherapy might be able to help you move forward in an area of your own life, please email Christy at christy@christyhypnotherapy.com for a free consultation. Have you ever experienced something which caused you to see a situation in a totally different light? As we go through life, we experience the world and our interactions with others based on previous experiences and conditioning... in other words we build up our own "map of the world" which we use to guide ourselves around. However these maps are not reality and other people will have their own "maps" which they use to guide them; and sometimes these can differ drastically to our own. Two battleships assigned to the training squadron had been at sea on maneuvrers in heavy weather for several days. I was serving on the lead battleship and was on watch on the bridge as night fell. The visibility was poor with patchy fog, so the captain remained on the bridge keeping an eye on all activities. Shortly after dark, the lookout on the wing of the bridge reported, "Light, bearing on the starboard bow." "Is it steady or moving astern?" the captain called out. Lookout replied "Steady captain," which meant we were on a dangerous collision course with it. The captain then called to the signalman, "Signal that ship: We are on a collision course, advise you change course 20 degrees." Back came a signal, "Advisable for you to change course 20 degrees." The captain said, "Send, I'm a captain, change course 20 degrees." "I'm a seaman second class," came the reply. "You had better change course 20 degrees." By that time the captain was furious. He spat out, "Send, I'm a battleship, Change course 20 degrees." Back came the flashing light, "I'm a lighthouse." The shift in understanding (known as a "paradigm shift") experience by this captain - and by us as we read this account - puts the situation in a totally different light. We can see in this story how the captains reality is superceded by his limited perception - with potentially disasterous consequences! Have you ever had an experience where you knew your reality to be true and then something happened which showed you the actual (objective) reality of that situation? This objective reality of the lighthouse is as critical for us to understand in our daily lives as it was for the captain in the fog. This is by no means a quick and easy task for anyone. There are no rights and wrongs. The most important thing is to understand what paradigms make up the lens through which YOU see the world and to gain more of an understanding about how your own experiences throughout your life can dramatically shape your world. And remember there are many lighthouses out there! According to website nme.com, celebrities have recently been turning to hypnotherapy in a bid to help them cure stage fright. Some of the biggest names in music have discovered that hypnotherapy can help them beat their demons and perform at their best. One such celeb is award-winning singer Adele who is rumoured to have seen a hypnotherapist in Los Angeles to help her prepare for big events. She sang the James Bond theme 'Skyfall' at this year's Oscars in what could be classed as one of the biggest performances of her career. The star was said to have been suffering from sleepless nights and panic attacks due to her nerves over performing at the Academy Awards. She has spoken out about her stage fright in the past, claiming to have been sick before big performances. 41-year-old Dido is another singer who has admitted using hypnotherapy before to combat her fears. She said: "I went to hypnotherapy for stage fright years ago and it completely worked. I always get nervous, but it was getting to the point where it would mess with my singing." She went on to say that there was a difference between getting nervous and having a meltdown. The hypnotherapy appears to have allowed her to distinguish between the two and ensures she can give the best performance possible. Performing on stage in front of millions might seems worlds away from the daily challenges experienced by the likes of us mere mortals, however in reality, giving a presentation in front of our work colleagues or standing up to give a wedding speech can be just as daunting. If you would like to find out how hynotherapy could help YOU achieve your full potential, please email: christy@christyhypnotherapy.com or call Christy on 01252 334377 for a free telephone consultation. Many people have their first (or only) exposure to hypnosis through stage hypnotists or Hollywood productions and from this; they understandably form the impression that hypnosis is something bizarre or even dangerous. In these arenas, hypnosis is portrayed as a scary form of mind control where the 'victim' gives up control of their mind and is therefore vulnerable or worse, gullible. If this was correct in any way then I would have no interest in hypnosis at all... the majority of clients who come to me are wanting help to establish more control over their lives in some way... never have I been asked to help someone lose control of themselves! A few years ago I discovered hypnotherapy as a result of wanting to learn how to do 'self-hypnosis' as a way to help myself overcome stress and improve my sporting performance. I see self-hypnosis as a tool available to everyone for making changes in your life. Most people who want hypnotherapy choose to see a professional hypnotherapist to be 'guided' through the process, however with a little practice, self-hypnosis can be something available to practically everyone... it is just a matter of finding the right technique for the individual. It could even be said that in fact all hypnosis is really self-hypnosis... even when working with a hypnotherapist who is guiding and developing the hypnotic state, you are always in control. It is YOUR hypnosis. So, self-hypnosis is a skill which can be learned, just like riding a bike. It is a skill which nearly all of us can do naturally and with practice, can become a route to you making very specific, positive and lasting changes to your life. You'll wonder how you lived without it! If you would like to find out whether self-hypnosis is something which might benefit you, please contact Christy at christy@christyhypnotherapy.com or call 01252 334377. Christy Hypnotherapy is now pleased to offer a "Teach yourself hypnosis" course consisting of 4 training sessions (over a period of 4 weeks) plus a pre-recorded CD for just £275. Falling down... do you have a 'Growth Mindset'? The following blog has been based on the chapter entitled "The Talent Myth Revisited" in the book "Bounce" by Matthew Syed. Remember the last time you attempted to do something and didn't manage to achieve it, or 'fell down' in the process... How did it make you feel? Did you 'get up' and try again or did you accept that this was something you could not do and had therefore 'failed'? In 1978 a Professor of Psychology named Carol Dweck conducted some ground breaking experiments with students to show that having a 'growth mindset' (people who believe that ability can be transformed through effort) as opposed to a 'fixed mindset' (the belief that 'talent' is something you are born with and therefore set in genetic stone and pre-destined) can make a dramatic difference in how motivation is sustained through adversity. What Dweck wanted to know was just how corrosive is the belief that innate ability rather than practice is what ultimately determines whether we have it within us to achieve excellence....This would infer that it's not worth spending time and energy seeking to improve if success is only available to people with the right genes?! What Dweck found was not only dramatic but extraordinary. Even though the two sets of students had exactly the same ability, in the group with the 'growth mindset', more than 80% either maintained or actually improved their performance in tests when faced with a challenge or something difficult. They actually taught themselves new and more sophisticated strategies during the difficult problems. In contrast, those with a fixed mindset very quickly berate their abilities and blame lack of intelligence for failures, saying "I've never been good at things like this" or "I guess I'm not very smart". So what caused this gaping difference in performance between the students with the fixed and growth mindsets? The answer is their beliefs... those who held the belief that ability can be improved through effort believe that ability is not fixed by innate talent (which you are either born with or you are not). People with a growth mindset therefore believe that although everyone may differ in initial talents, aptitudes, interests and temperaments, everyone can change and grow through dedication, hard work and experience. One final quick story which illustrates this beautifully... a young girl named Shizuka Arakawa apparently fell down more than 20,000 times on her journey from wannabe schoolgirl to Olympic figure-skating champion. You could ask yourself, "Why would anyone endure all that? Why would she keep striving in the teeth of constant failure? Why not give up and try something else?" The answer is this: it is because she did not interpret falling down as failure. She interpreted falling down not merely as a means of improving, but as evidence that she was improving. Failure was not something that sapped her energy and vitality but something that provided her with an opportunity to learn, adapt and develop. If you would like to find out more about how hypnotherapy can help you to change your own beliefs and achieve your full potential, please email Christy at christy@christyhypnotherapy.com or call 01252 334377.